The ability to control fire brought our ancestors countless benefits, but as a new study by Australian researchers suggests, it may have also triggered the spread of one of the worst blights to afflict our species: tuberculosis. 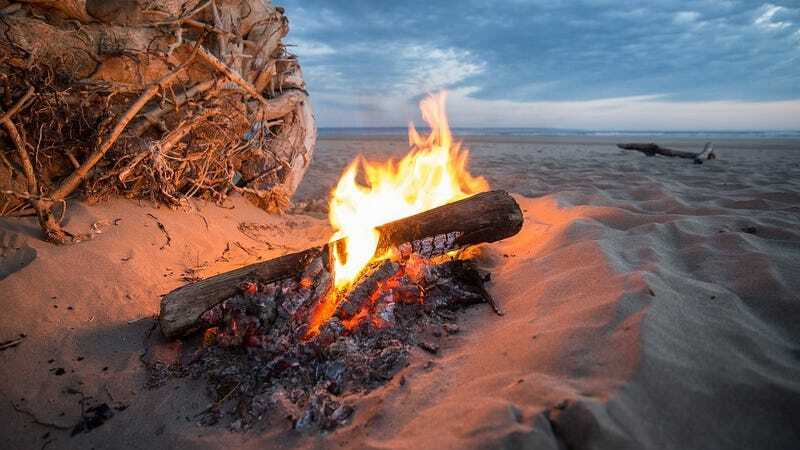 Mathematical biologist Mark Tanaka from the University of New South Wales hypothesizes that controlled fire use in early humans created the perfect conditions for tuberculosis to mutate from a harmless soil bacterium into our top microbial killer. In a paper published in Proceedings of the National Academy of Sciences, Tanaka suggests that campfires brought more people together and contributed to smoke-damaged lungs— factors that increased the likelihood of tuberculosis making the leap to ancient humans and then spreading within the population. Tuberculosis emerged as an ancient human disease thousands of years ago, but scientists aren’t entirely sure when or how it happened. It’s generally agreed that TB emerged in Africa thousands of years ago, first establishing itself in human populations, and then spreading from humans to animals (oops, our bad). TB, which is spread through the air, is caused by the Mycobacterium tuberculosis complex (MTBC) and most commonly affects the lungs. Today, it’s responsible for nearly 1.5 million deaths each year, making it the top bacterial killer of humans. And if Tanaka’s new theory is correct, we have campfires to blame. “When fire was controlled around 400,000 years ago in human populations, probably cultural practices changed, so there would have been increases in social interactions, increases in population density and increased time for interaction into the night,” Tanaka told Australia’s ABC News. Normally, bacteria found in the soil can’t make the leap from ground-dwelling organism to one that can thrive in the human body. To do so, it has to undergo a mutation that allows it to work within the biological system of another species. This happens exceptionally rarely, but it does happen. In addition to this fortuitous mutation, it also has to spread to a host and then propagate from there. The only reasonable way for this to happen—outside of freakish luck—is for humans to develop an increased susceptibility to the microbe, contract the mutated microbe, and then spread the disease within the population. Campfires, argues Tanaka, provided these opportunities. “You get multiple sporadic cases, and most of them fail in the sense that they fail to evolve and so there are multiple failed chains of transmission, but eventually the right mutations come along and the whole thing is triggered,” he told ABC News. Tanaka’s mathematical model shows how an otherwise harmless bacterium like M. tuberculosis is capable of developing into a transmissible pathogen. It’s not definitive proof, but it’s an intriguing possibility.